Start Date: Informally November 2015. Formally January 2016. 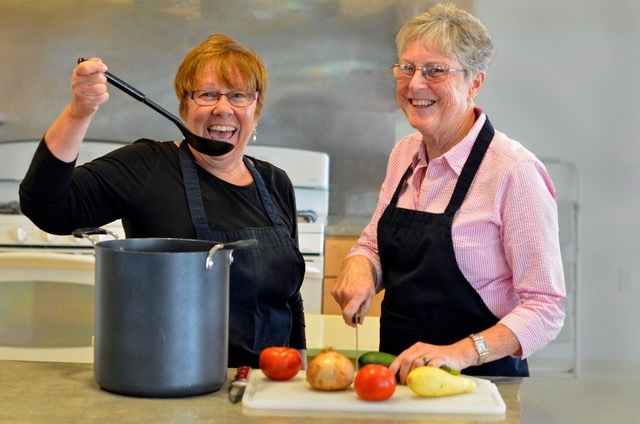 Mission: Harpswell Aging at Home (HAH) is a community-led organization committed to helping people thrive while aging at home. Vision: Harpswell is a town in which older adults are able to remain in their homes while living safe, engaged and comfortable lives. Older adults feel valued, empowered, included and engaged with others in a connected, mutually supportive, multi-generational community. To build a sustainable, effective and accountable HAH. To create a central communications function/network that would serve HAH’s work. To develop information and raise awareness of existing elder services and supports. To enhance the availability of home repair services available to seniors. To improve the availability of transportation to seniors who do not drive. To enhance the availability of senior social, educational and physical exercise opportunities. To expand senior access to chore and food services. residents and our numbers of older residents are growing. Most intend to age in Harpswell. More than one-third of older adults in Harpswell do not have enough resources to meet basic expenses. A majority of older residents live in homes they own that are more than 25 years old. Home maintenance, basic home repair and help with simple chores are the top needs for older residents. Many older residents are reluctant to ask for help and are unfamiliar with elder care options, even when needed. People want easier access to information and a neutral place they can call for help. Older residents continue to drive their cars into advanced old age. Most don’t need help now, but anticipate the need and want to find practical solutions. people of all ages in Harpswell and want solutions that strengthen intergenerational bonds. Harpswell’s demography, geography, culture, and history present challenges that need to be considered in designing responses to the needs of older residents. about elder care and related services will help residents to remain in Harpswell as they age. opportunities to socialize as well as year-round walking and recreational opportunities. Harpswell Aging at Home is led by a Steering Committee and an advisory Executive Committee. The Steering Committee is made up of 14-18 volunteers who make decisions by consensus. The advisory Executive Committee is comprised of the two HAH Co-Chairs, Secretary, Treasurer, Communications Chair, and the Volunteer Coordinator. The chair of each committee is a member of the Steering Committee. 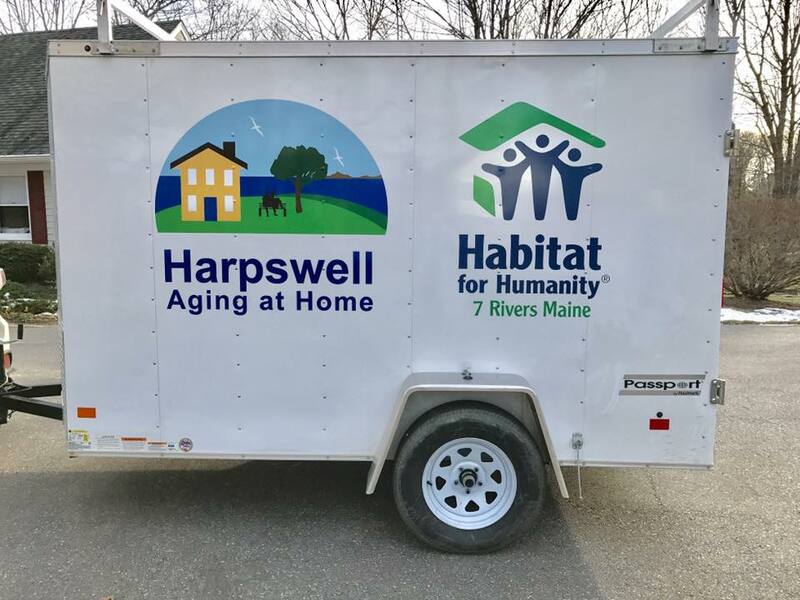 Town of Harpswell: Our primary and most key partner - the town is the conduit for referrals to our programs - they screen people for income eligibility into the home repairs and home helpers programs, promote our efforts, and answer phone calls to HAH. Habitat for Humanity 7 Rivers: They vet and insure our home repair volunteers and raise funds for our projects. Midcoast Hunger Prevention Program: We help to promote their monthly food truck in Harpswell. People Plus: Their Volunteer Transportation Network (VTN) serves our community. We recruit volunteers for VTN and promote the service broadly. They vet Harpswell drivers. Catholic Charities SEARCH Program: SEARCH vets, trains, and matches companions for people who are in need of assistance of their services. We recruit volunteers to be matched with Harpswell older adults. Harpswell Heritage Land Trust: They provide fresh organic produce to our Lunch with Friends Program. Local libraries, churches, and organizations: We co-host cooking events through these venues. We also have established relationships with most of the informal and formal affinity groups in our community - they serve as a conduit for information from us to their members. Our initiative is 100% run by volunteers - our 170 plus volunteers perform every operation of HAH that is not completed by one of our partners. We will use all of the currently available resources and assets of our community to meet the needs of Harpswell residents. We will promote, support and grow services already available to Harpswell residents. When resources are needed that are not currently available, HAH is committed to finding no-cost or low-cost solutions. 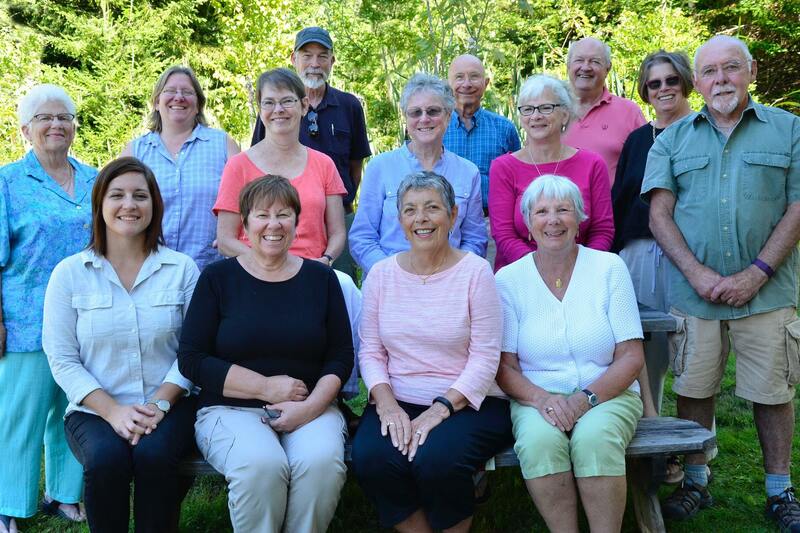 HAH Steering Committee members will be representative of the whole of Harpswell. 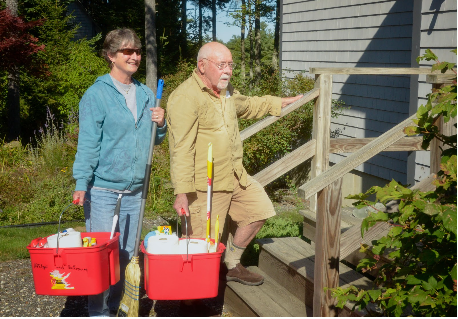 Any outreach, services or supports offered by HAH will be available to all older adults residing in Harpswell, regardless of where they live within Harpswell or their legal residence. HAH will always include and engage older adults in designing and implementing our work. In following these principles, we've successfully partnered with other organizations that serve our community - making them stronger while bringing services to our community. All of the "programs" we've created or enhanced are at no-cost and are fueled by volunteers. Harpswell Aging at Home uses a few methods to effectively communicate within our initiative and with the larger community of Harpswell. Committee Chairs report on the progress of their action plans monthly to the Steering Committee. HAH holds an annual Strategic Planning Day for Steering Committee members. Creating a Community Mapping Project of organizations within Harpswell willing to distribute HAH information to their members. Creating a HAH Facebook page: Harpswell Aging at Home. Creating a Master Data base for use with email blasts. Challenge:We've had to negotiate the "ours" and "yours" problem of partnering - for instance, Habitat wanted to say the home repair team was "theirs" while HAH called it "theirs" - we had to negotiate to an understanding that neither would exist but for the other. Solution: We are co-branding everything we do and are establishing a MOU to assist in building a stronger understanding of the assets we each bring. Challenge:We had a little conflict when we applied for grant funding from the same source as one of our partners - for different things for the same project. Solution: We met our immediate need and have decided not to go after any grant funding unless our partners are not - we want our partners to get the funding! Challenge:Reaching older adults who don't have access to the internet. A quarterly newsletter is available in print at the Town Office. A monthly article is sent to the Harpswell Anchor, which is delivered to all homes. Event flyers are posted throughout Harpswell, and all events are listed in the calendar section of local newspapers. All resource material we produce is available in print at the Town Office. Challenge:People in Harpswell are proud and independent and reluctant to ask for help. 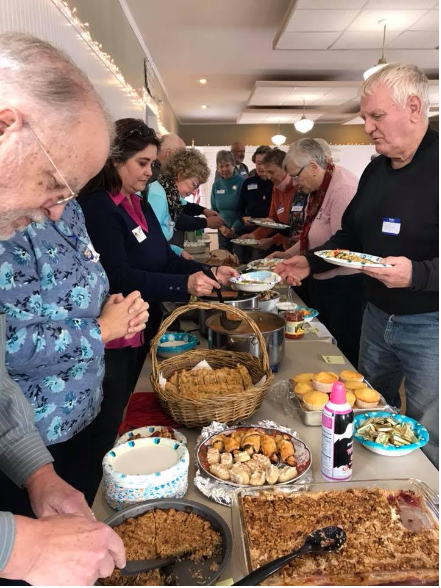 Solution:Older adults who have been grateful for and pleased with the home repairs done, have received rides through the Volunteer Transportation Network, and have attended cooking events have spread the word to others and encouraged them to ask for services. Event fees - we haven't yet captured any revenue from this source. Our partners raise grant funds for our programs. The Transportation Committee worked with People Plus to expand the Harpswell services offered by its Volunteer Transportation Network. 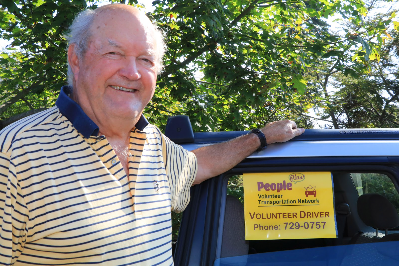 HAH recruits volunteer drivers from Harpswell to give free rides to Harpswell adult residents unable to drive. Our Home Helpers program assists with a variety of inside household chores that have become difficult for residents to maintain. Chores include: Vacuuming, sweeping, and mopping of floors and stairways; Dusting of furniture, mantles, ceiling fans, etc. ; Kitchen cleaning—counters, sinks, stoves, refrigerators & other appliances; Bathroom cleaning—toilets, bathtub/shower, counters & mirrors; Cleaning of clothes washers; Washing interiors of windows; Disposal of household trash and recycling items. The Home Repairs Committee developed a list of trusted local contractors to help older adults find reliable contractors if they can afford to pay. 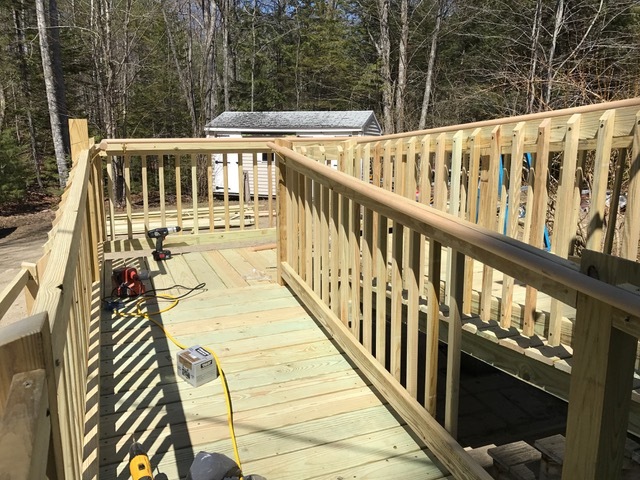 They also collaborated with Habitat for Humanity/7 Rivers Maine to provide volunteer home repair services to lower-income homeowners in Harpswell. They are committed to repairing 25 homes a year. Habitat, the town, and HAH partnered on a successful application to secure Community Development Block Grant funding for this effort. Funds will go to Habitat for Humanity. The team uses a tool trailer and tools we've purchased via grant funding. All materials are paid for through Habitat if the homeowner qualifies for their program. Our team is vetted and insured through Habitat. Since the home repair program began, by the end of 2018 we will have completed 59 homes, with an average materials cost of $1,500 per home. 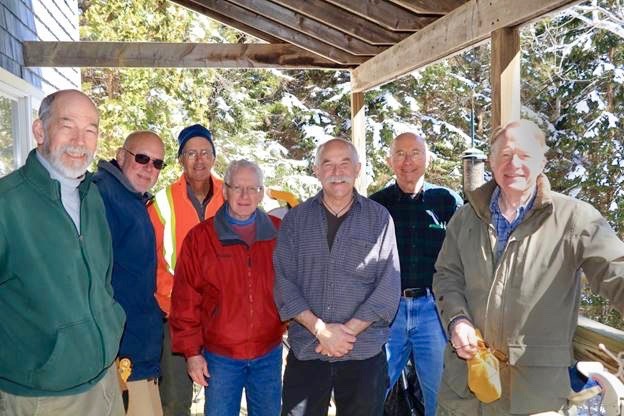 The home repair team works one day a week year round, consisting of 20-25 volunteers. 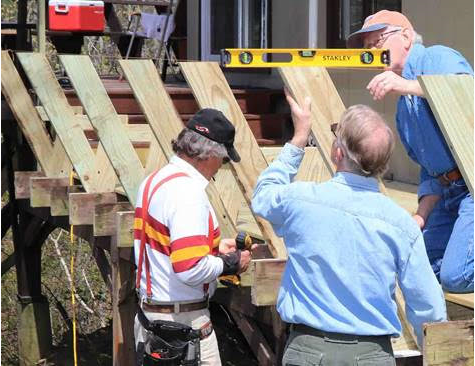 Our home repair effort includes an initial assessment of the homeowners' needs conducted by a volunteer social worker or nurse. The assessment only asks questions that can result in a referral to one of our partners or programs. We ask about food needs, falls, isolation, finances, medication, and safety. A three month follow-up assessment measures the outcomes of referrals and home repairs modifications. The Health and Wellness Committee created a list of service providers and organized a Senior Health Fair, attended by about 40 participants, with speakers, flu shots and blood pressure screening and an adaptive tool table. The Committee produced two adaptive tool tables - one is portable and is used at events, the other stays at the town office. The Committee will host health-related educational programming in 2017, including caregiver support. Our Resources Team of healthcare professionals does in-home assessments on each homeowner who receives home repairs and provides information to them on available resources to meet those needs. 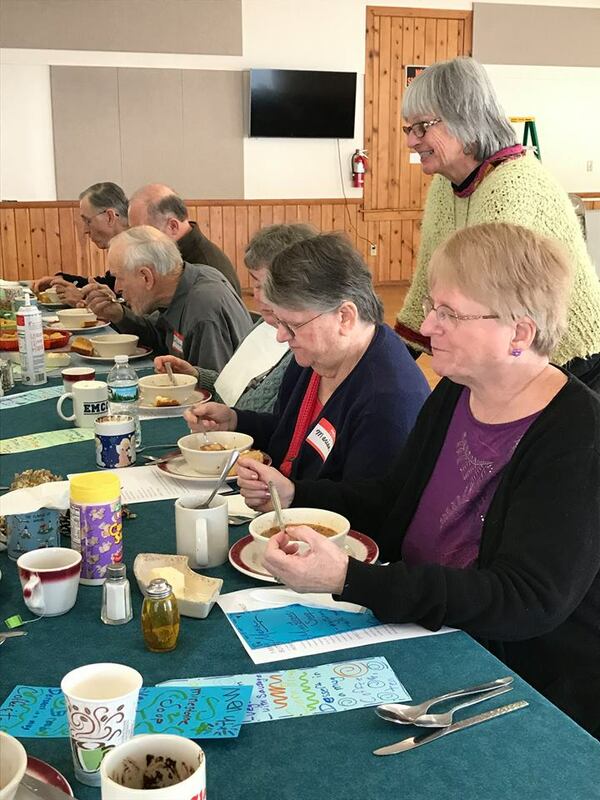 A Seniors Connecting Program was created in January of 2017 to help combat social isolation for older adults who live alone, have recently lost a loved one, no longer drive, or are isolated due to an illness or the illness of a family member. 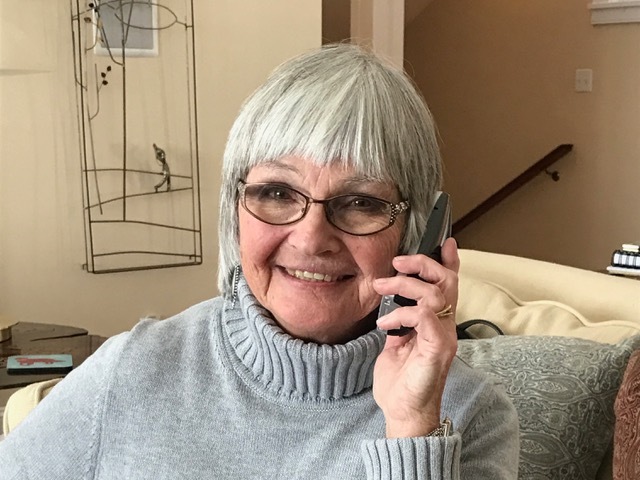 A trained volunteer makes a weekly call to socialize and provide information on available resources and upcoming HAH events. Harpswell Aging at Home uses every means possible to reach out to the community--articles in local papers, Facebook, Web Page, Newsletter, Posters, and word of mouth. See more in our communication strategy (below). We host the Spectrum Generations Fall Prevention Tai Chi program, which is designed to improve health and wellbeing. The program is helpful in preventing falls and relieving pain for those with arthritis. The Food Committee works with partner agencies to promote and enhance food truck visits at the Town Office. The Committee launched “Lunch with Friends” in early 2017. Weekly lunches are held during the winter, and bi-monthly lunches in the fall. They now serve over 50 people at each event and provide 10-15 takeout meals for residents with food insecurities. We attempted to host a caregiver support group, but only found one caregiver who could attend. We'll keep at this! The Communications Committee has developed HAH promotional materials, created a master database, and built a communications strategy that uses articles, emails, newsletters, a website, and Facebook to get the word out about services and events. As part of our initial work, we mapped "community gossip" channels - informal groups that agree to share and distribute information for HAH.